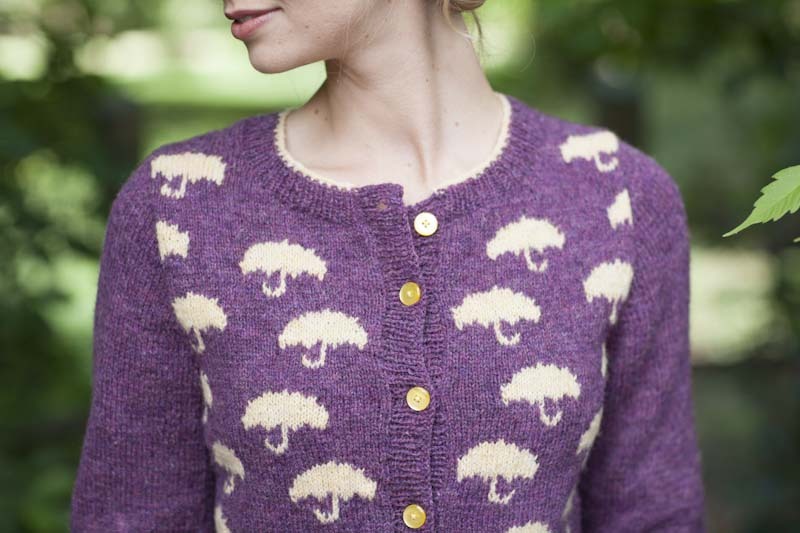 An all-over umbrella motif adds sweetly vintage charm to a fitted cardigan. Sweater is worked with intarsia colorwork and contrast color edging for a polished look. Finished Size 34½ (38½, 43, 47, 50½)" bust circumference, buttoned. 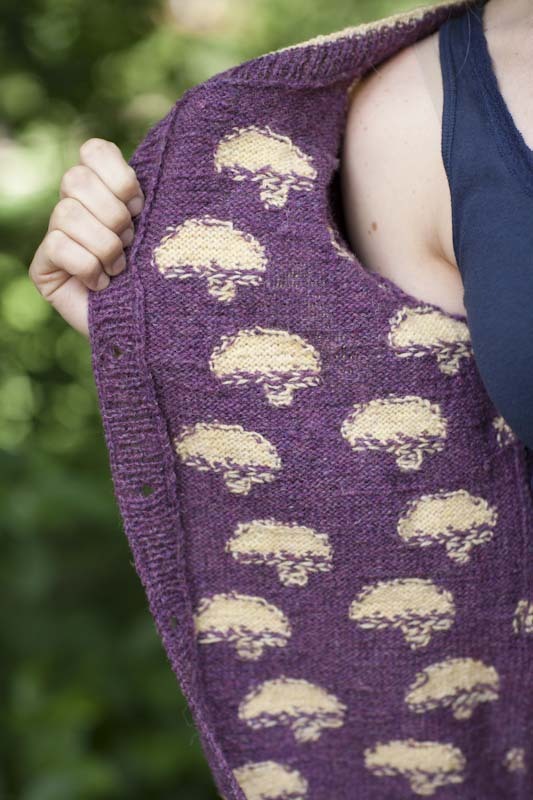 Cardigan shown measures 34½ ", modeled with minimal ease. Yarn Jamieson's Shetland Spindrift (100% Shetland wool; 115 yd [105 m]/7⁄8 oz [25 g]): #273 foxglove (purple; MC), 10 (11, 13, 15, 17) balls; #179 buttermilk (cream; CC), 3 (4, 4, 5, 5) balls. Yarn distributed by Simply Shetland. Needles Sizes 1½ (2.5 mm) and 3 (3.25 mm). Adjust needle size if necessary to obtain the correct gauge. Notions Markers (m); removable m; tapestry needle; yarn bobbins; seven 5⁄8" buttons. Gauge 28 sts and 38 rows = 4" in St st on larger needles.